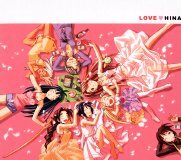 This CD contains vocals and drama for the TV anime Love Hina (ラブひな). 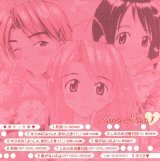 Songs by Horie Yui (堀江由衣), Kurata Masayo, Noda Junko (野田順子). 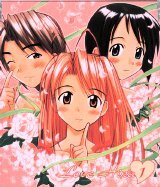 The first pressing of this CD comes with a nice cardboard box which can hold all three of these CDs, plus the other Love Hina CDs. The cast for the drama parts are as follows.